Having uninterrupted time to put pen to paper is a writer’s ultimate dream. The Templeberg Residential Writing Fellowship for 2015 offers just this: an opportunity for writers across Australia to apply for a writer in residency in an environment wholly dedicated to writing, with accommodation and full board provided, to develop an established writing or illustration project. 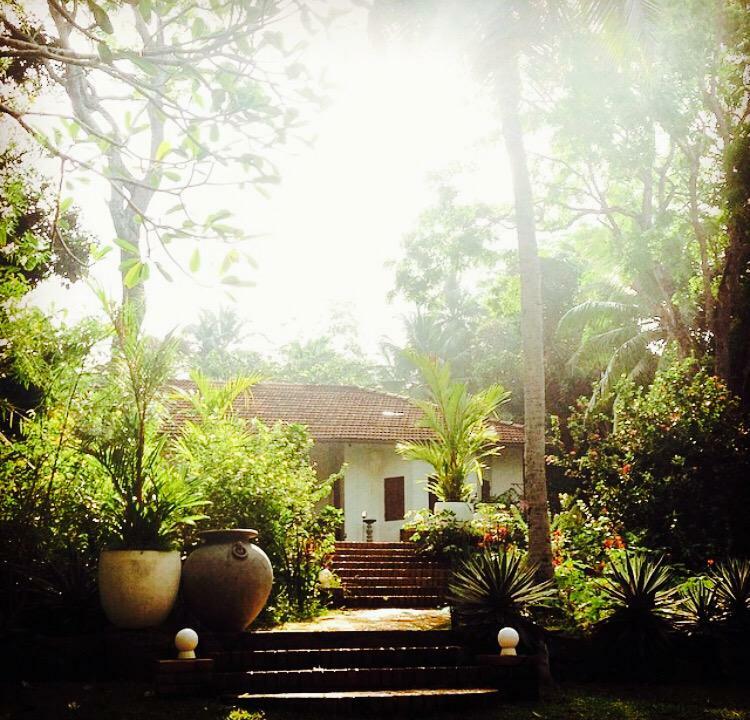 Located in the Southern Province of Sri Lanka for two to four weeks to purely work on a writing project, free from social obligations and financial pressures. This residency gives the artist or writer the time and brain space to refine their craft and clarify their expression through their writing or illustrations. Applications are invited from emerging and established writers who have been engaged for a minimum of two years in the fields of journalism, creative writing (fiction and non-fiction, performing arts or poetry) or certain online platforms – like Bloggers. The successful fellow will receive an economy return airfare from Melbourne to Colombo in Sri Lanka, a 30-day tourist visa, internal transfers, accommodation, full board (all meals) and AU$1,000 spending allowance. This fellowship should be used to develop and prepare a new or existing work for publication. For emerging authors moving into the next stages of a writing career, this kind of progress is essential to help move forward and continue building a reputation in the writing world. Judges include Sri Lankan-based author Royston Ellis, Victorian writer Michelle Wright (2013 Templeberg Fellow), Canberra-based writer Lucy Nelson (2014 Templeberg Fellow), and the co-owners of Templeberg Villa Brent Carey and Christopher Shields. Royston Ellis is the author of more than 60 published books (guides, novels, biographies and volumes of poetry). Originally from England, Royston was the British representative of the Beat Generation. Royston has been residing in Sri Lanka since 1980. His knowledge, and closeness with the Sri Lankan culture is obvious in his writing. Michelle Wright lives in Victoria and writes short stories and flash fiction. Her stories have won The Age, Alan Marshall, Grace Marion Wilson, Orlando and Magic Oxygen Short Story Awards. Her collection of short stories, Fine, was shortlisted for the Victorian Premier’s Literary Award for an unpublished manuscript written while in Sri Lanka as the 2013 Templeberg Fellow. Lucy Nelson is co-director of Canberra’s experimental writers festival. Her work is regularly published in the Canberra Times and street magazine The Big Issue. She has published and performed personal essays and short fiction and is currently working on her first manuscript. Applications should be submitted online by Monday 6 July 2015. From crabs to cocktails, Sri Lanka offers it all. It is the perfect destination for relaxation, brainstorming and the creative process to brew. Tonight the c word crew will be heading to Dante’s for the launch of the 8th annual Overload Poetry Festival Programme. Champers and G&T’s all round to celebrate the Festival nearing… plus of course the end of the week. Yay! Also on tonight will be heat 1 of the Slam competition. We’re looking forward to seeing poet battle against poet; verse by verse, word for word. It will be very Eminem 8-mile minus the gangs, guns & stage fright. No stage fright here… this will be Melbourne’s poets turn to shine. The Slam Heats will continue in the next few weeks. Check out the calendar online for future heats. The Final will take place during the Overload Poetry Festival on Friday 11th September. The top 4 winners of the Slam will then go head-to-head with our Bristol counterparts. This will be an awesome Skype Slam Off at ACMI!! With 4 weeks to go until the Festival, it’s a very busy time for poets, publicists and performers. So much to check out too. How ever will we find the time?? Clearly we’ll be spoilt for choice when September 3 rolls our way. For now… we’ll just enjoy some drinks at Dante’s and also toast to John Hughes. One of our all time heros, John Hughes passed away from a heart attack earlier today. John Hughes is responsible for giving us Sixteen Candles, Breakfast Club, Ferris Bueller’s Day Off and Weird Science. His writing credits are wayyyyyy long with Home Alone, National Lampoon’s Christmas Vacation and the Beethoven films to name a few. No-one has bettered the teen flick genre as far as we’re concerned: Ferris Bueller & Breakfast Club rate in our all time fave list. Teenage years would not have been the same without him. RIP John Hughes – we miss you!